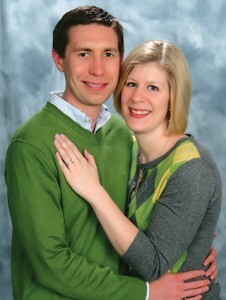 Thomas and Sandra Siderius of Belmont announce the engagement of their son, Daniel, to Jennifer Wetzel. Jennifer Wetzel of Paducah, Ky., is the daughter of Conrad and Etta Wetzel of Harrisburg, Ill. She is a graduate of Harrisburg High School, Murray State University, and Kent State University. Jennifer is a library media specialist at an elementary school in the McCracken County Public Schools near Paducah. Daniel Siderius of Germantown, Md., is a graduate of Rockford High School, Michigan Technological University, and Purdue University. He is a research scientist at the National Institute of Standards and Technology in Gaithersburg, Md. The couple is planning a summer wedding in Grand Rapids, and will reside in Germantown, Md., following the wedding.